Happy Halloween 2018!! 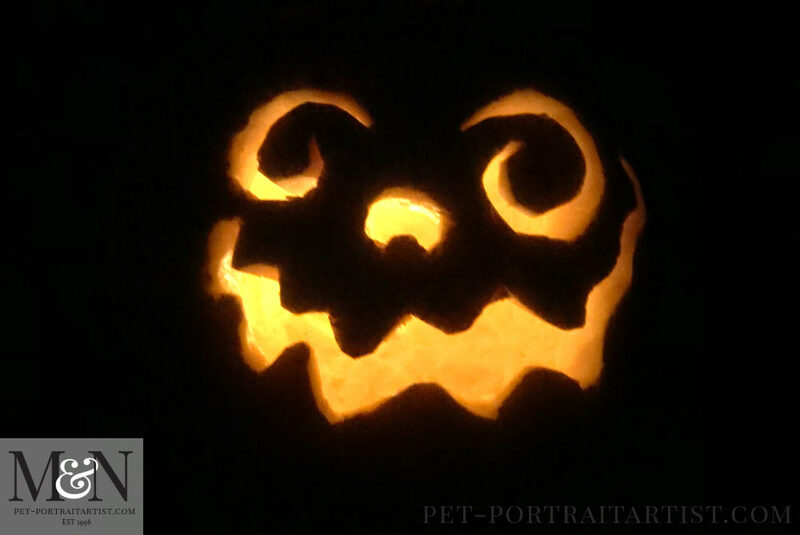 Welcome to our Halloween post of 2018. 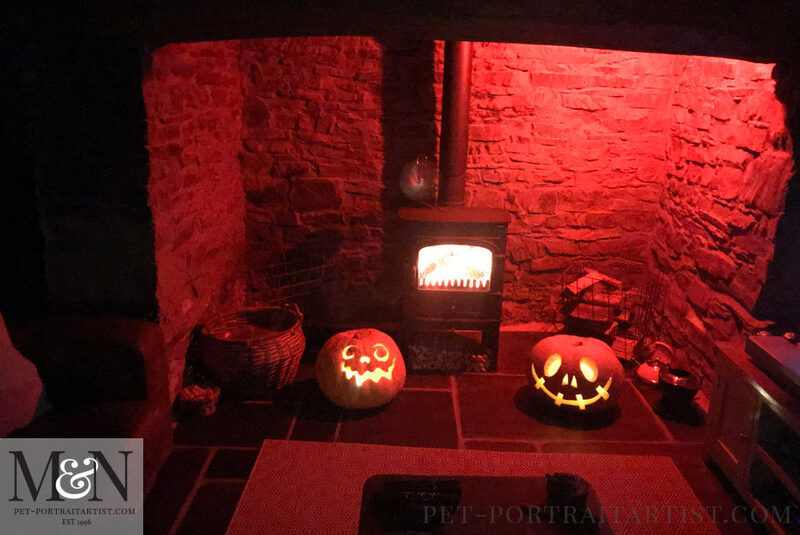 Every year we celebrate Halloween by carving pumpins and decorating our inglenook with them and differnt coloured lights. 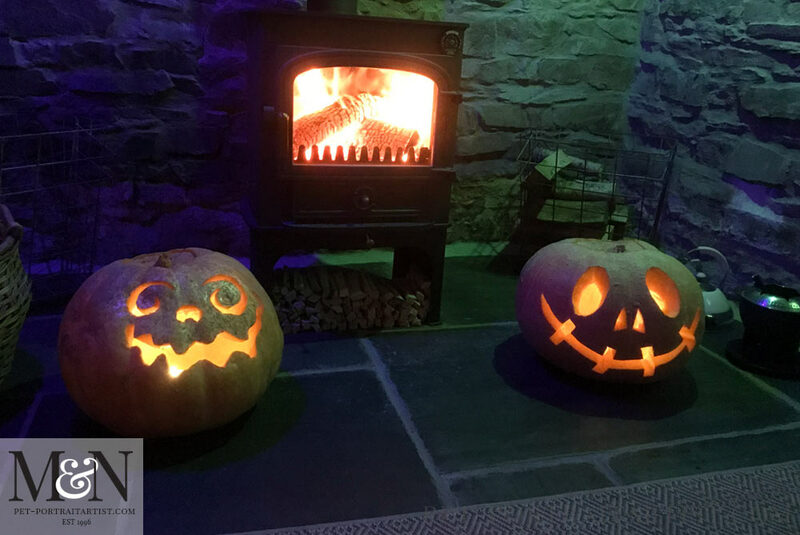 We started with the front of our cottage putting up christmas coloured lights and having two pumpkins outside. 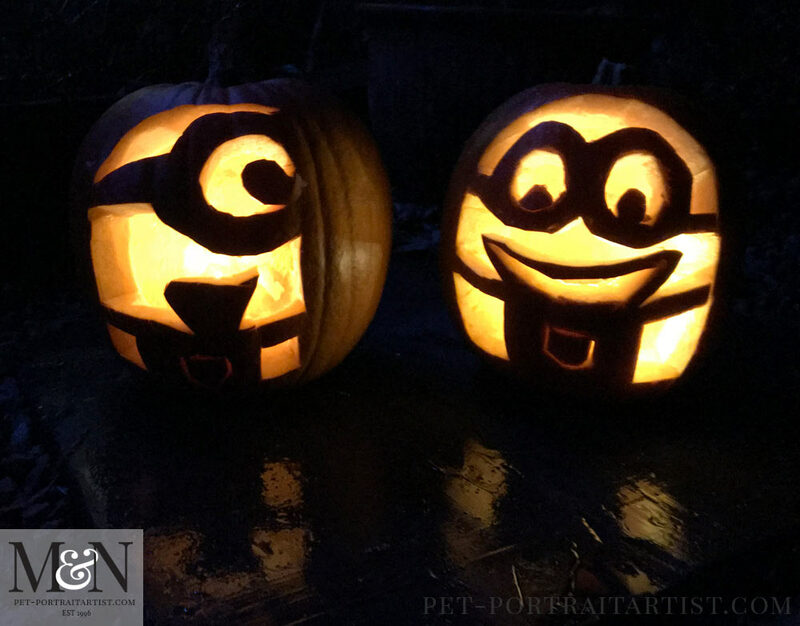 As you can see below we carved two Minions keeping a watchful eye over our garden! We are now using the battery power candles which are much safer and seem to last a long time. 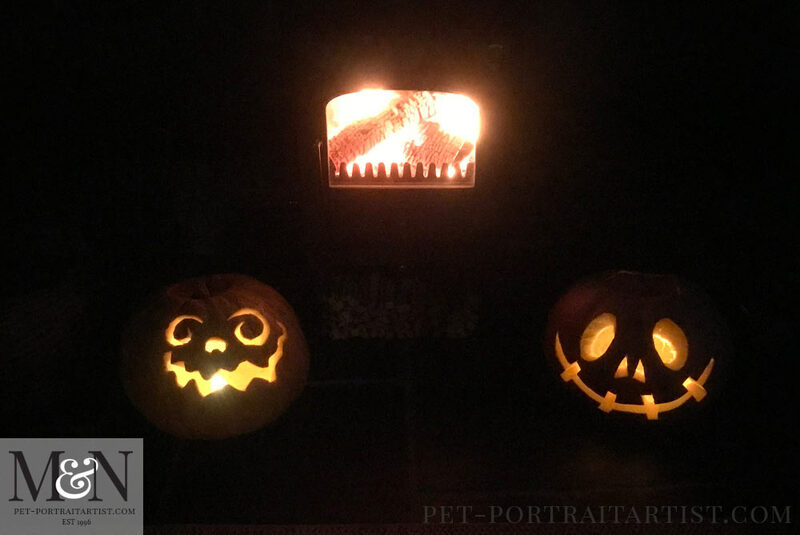 They flicker just like a proper candle and the inside of the pumpkins don’t get too hot which is great. 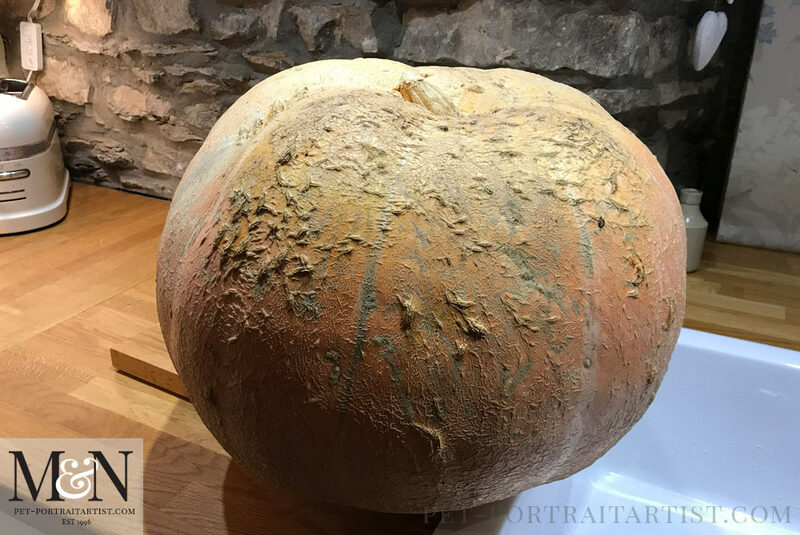 Once the outside of the cottage was finished, we started on our indoor pumpkins. Scroll down to find out all about them and who grew them for us!! 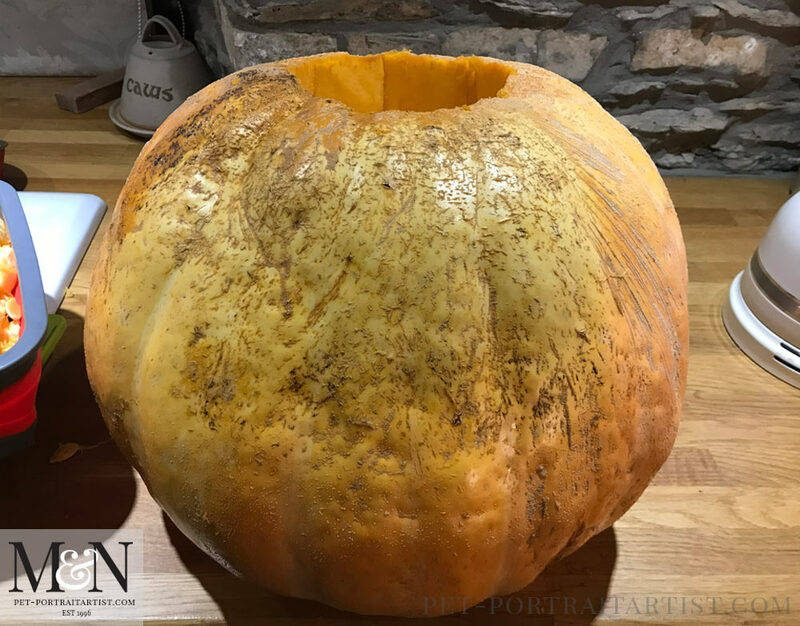 The Ginormous Pumpkins for a Happy Halloween 2018….! Our pumpkins are grown each year by my dad in his garden. They still live on a smallholding, although they don’t have any animals anymore, they still have a huge vegetable garden. Enormous in fact. Each year my dad grows a pumpkin patch for Nicholas and myself along with some for friends and their children. We usually have as many as we can fit in the car for us and our lovely little neighbour next door. This year my dad grew ginormous pumpkins and so our little neighbour had one huge one and Nicholas and I did too! We are big kids at heart! 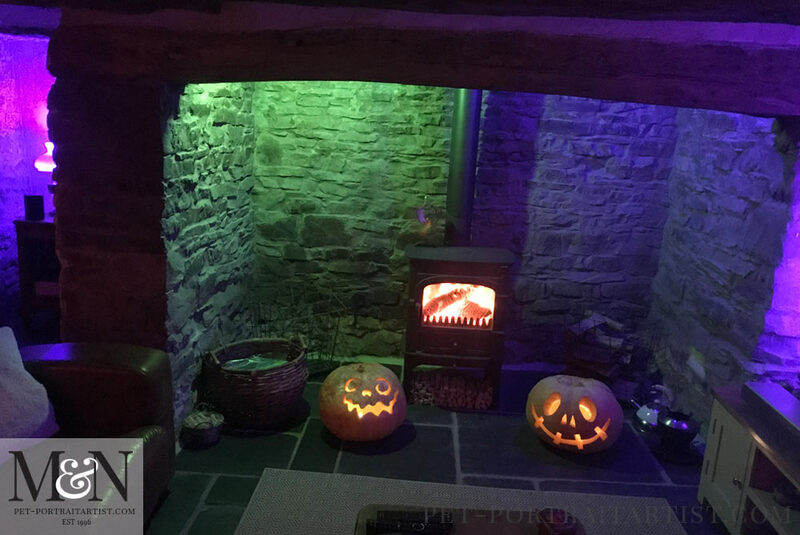 Here are some photos with different coloured lights…! 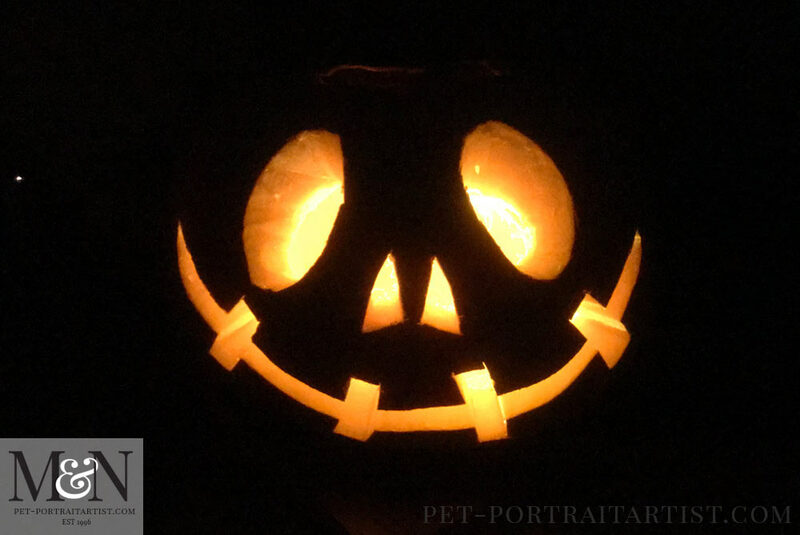 We hope you have enjoyed viewing our Halloween photos and that you all had a wonderful time where you were! Why not post some of your Halloween photos in our comments below. We would love to see them! WOW – WHAT FUN!! 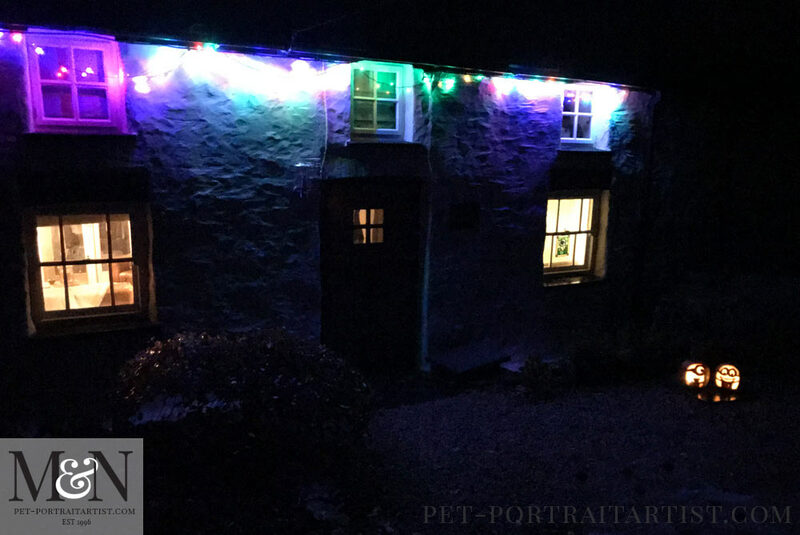 The Cottage looks cosy and gorgeous!